iPhone cases are sold by the truckload everyday on Amazon and other websites. There’s absolutely no shortage of iPhone cases, but there’s not many I use as a daily driver. I test a lot of cases and usually, when I am done, I go back to my trusty UAG cases. Now, I’ve finally found a company that stands toe-to-toe with UAG: X-Doria. 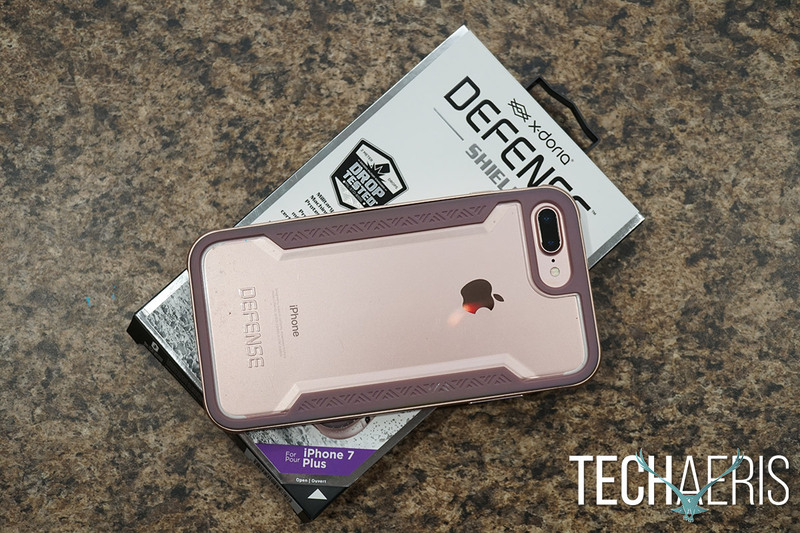 Read on for our full review of the X-Doria Defense Lux, X-Doria Defense Shield, and X-Doria Defense Gear and find out why X-Doria is an overall Techaeris Top Pick winner. I’m just going to start with the most expensive one of the three we were sent. The Lux is an amazing combination of aluminum, impact resistant polycarbonate, and premium rubber. The Lux is split into two different pieces, the outer aluminum frame and the inner polycarbonate shell. The buttons are very tactile and responsive and they look amazing with fine machining and detail put into them. The cutout for the Lightning port is ample and does accept third-party connectors that are larger than Apple’s OEM cable. Overall this design has a super premium look and feel and was my favorite of the three cases. 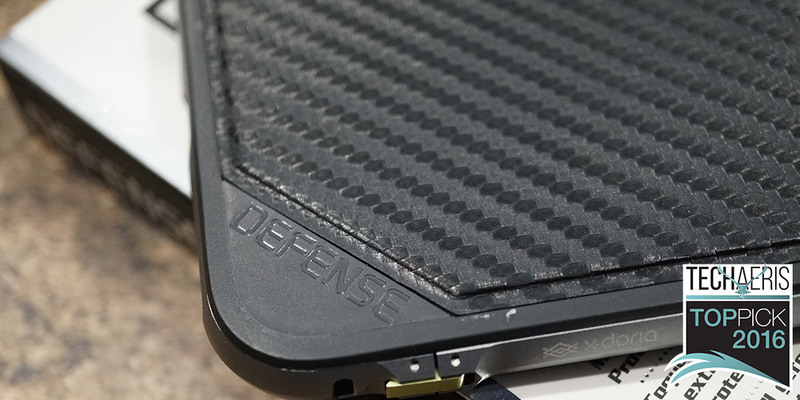 The Defense Shield is also a really well designed case made of polycarbonate, soft rubber, and anodized aluminum. Like the Lux, it is also split into two different sections, the aluminum frame, and then inner polycarbonate and rubber section. Unlike the Lux, the aluminum frame does not have a mechanism that allows it to be slipped over the polycarbonate section. The buttons are equally tactile and responsive on the Defense Shield as they are on the Lux and the machining quality is great as well. Like the Lux, the Lightning connector cutout is ample and accepts most third-party cables. Overall a wonderfully designed case that has a clear back to show off your iPhone. 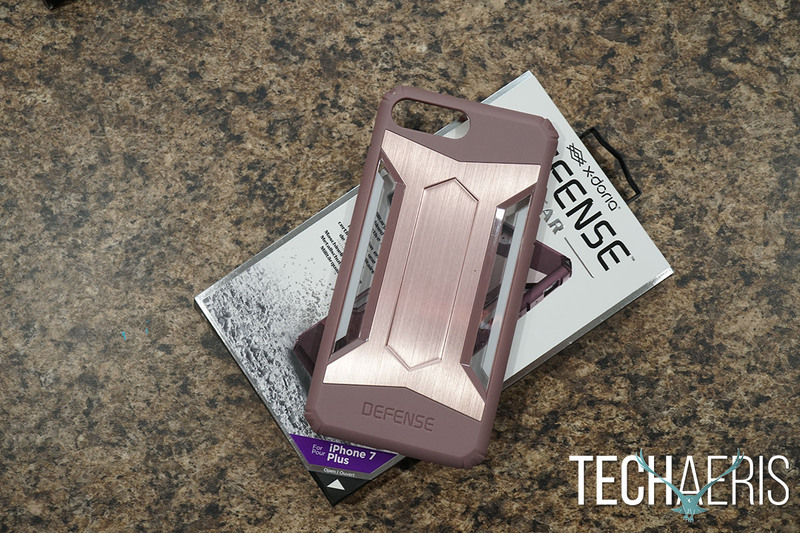 The Defense Gear is a single piece of aluminum, polycarbonate, and rubber with a great premium look and feel. Like the Lux and the Shield, the Gear offers ample cutouts for the Lightning port but opts for an interesting speaker grill design. The Gear closes off the cutouts for the speaker grills at the bottom, instead placing the cutouts just above the speakers right along the case rim. This gives the sound an upward firing tunnel to make your bottom speaker sound slightly better. The back has an aluminum accent that gives the case a slick look. The buttons are fine here but not as tactile as the Lux or Shield. Overall all of these cases have a great design and all of them have a good premium look and feel. The Lux is pretty simple to install, there are two pieces to consider here: the outer aluminum bumper and the inner polycarbonate/rubber shell. The aluminum bumper has a small latch on the bottom left that unclips allowing the bottom of the bumper to swing out. Place your iPhone in the inner polycarbonate/rubber portion then slide the aluminum bumper over that and clip to secure and you’re done. The Defense Shield is a bit harder to install but not too hard. Since the aluminum bumper doesn’t have a latch to allow the bottom to swing out, you have to install this a bit differently. First you put the inner polycarbonate/rubber shell on your iPhone and then gently work the aluminum bumper over that. It will take some gentle working as the bumper is rigid but can also be easily bent if you’re not careful. The Defense Gear is the easiest of the bunch, with just a snap into the case and you’re done. Overall the install on all of these is pretty simple with the Shield being the most difficult of the three. The Lux offers up great protection with the combination of the aluminum bumper and heavy polycarbonate/rubber inner case. The corners are well protected and the inside has shock absorbing qualities. The front lip is one of the best I’ve seen on any phone case, laying this down on a flat surface will be just fine and you can even have a glass screen protector on and still not touch the flat surface. I’d say this is heavy duty protection, just missing IP67 ratings to make it extreme protection. 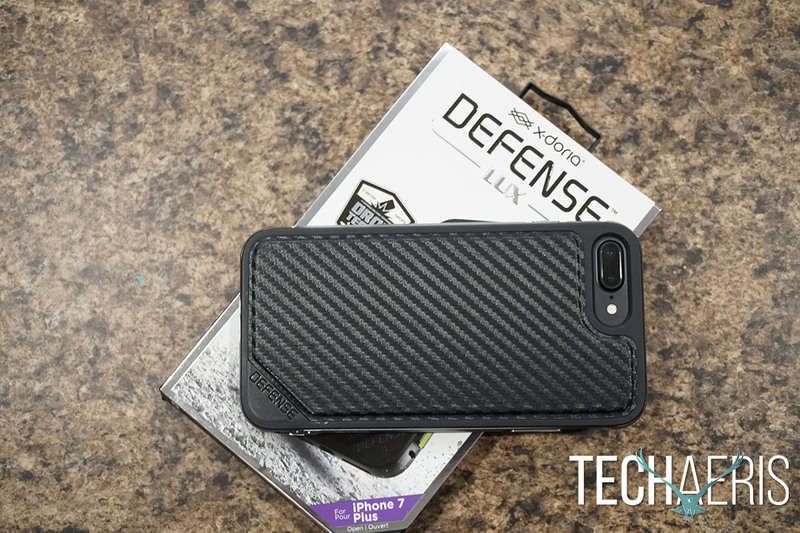 The Defense Shield offers up nearly the same protection as the Lux it just doesn’t feel as heavy duty as the Lux but that doesn’t mean it’s not great protection. The corners are well padded and the shock absorption is there. The front lip is also just as good as the Lux, this has great protection for sure. The Defense Gear is a one piece case but it’s very rigid and offers up some of the same protections as the Lux and Shield. The lip doesn’t seem as big on the front glass but it does a good job of keeping the glass off flat surfaces. 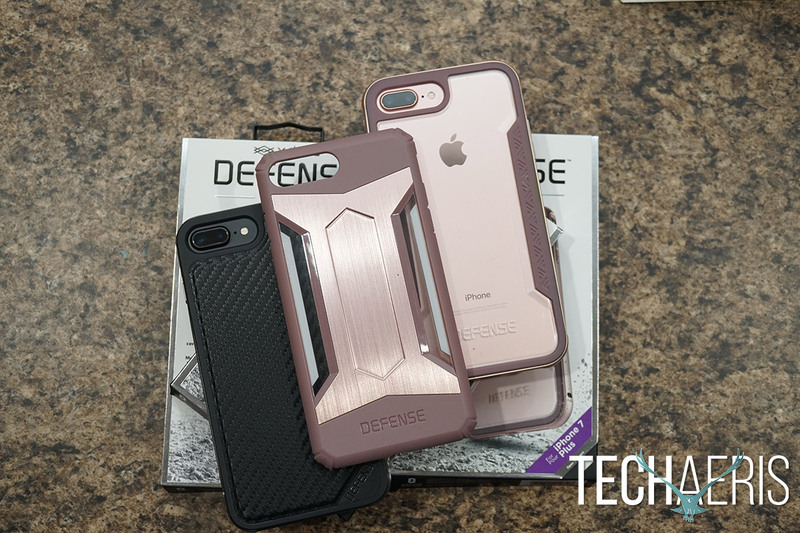 Overall, these cases all have great protection against most all drops you will encounter on a day to day basis, unless you’re a heavy duty user like a construction worker, firefighter, or police officer. Then you might want a more fully covered case. The Lux is priced at $49.99USD, the Shield is $39.99USD and the Gear is $34.99USD. These prices are inline with X-Doria’s competition and I think they are well worth the money. You may also find them on sale on Amazon. UAG has been my favorite case maker until now. X-Doria stands right alongside them as one of the best iPhone case makers on the market. These are really well built and nicely designed and well worth the investment. Design on these cases are very visually and aesthetically appealing, drop protection is top notch, premium build quality. Price points may be a bit high for some. *We were sent samples of these X-Doria cases for the purposes of this review.